I've been interested in researching the supernatural and paranormal for many years. 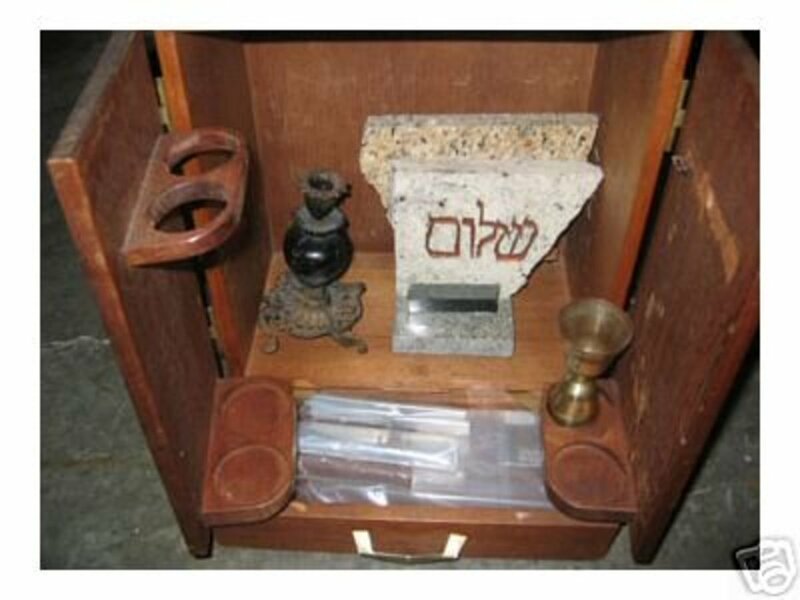 The Dybbuk (sometimes spelled Dibbuk) Box is an item originally put up for sale on eBay by a man named Kevin Mannis back in September 2001. It was eventually sold to Losif Nietzke, at the time a student in Missouri. Nietzke soon put the item up for sale and sold it to Jason Haxton, director of the Museum of Osteopathic Medicine at A.T. Still University. Haxton is the writer of the book, The Dibbuk Box, about his experience with this mysterious wine cabinet. Eventually, Zak Bagans purchased the box from Haxton. The Dybbuk Box is thought to be haunted, and many stories circulate about the paranormal happenings involving the box. The most detailed account of the effects of the wine box has been given by the original seller, Kevin Mannis. 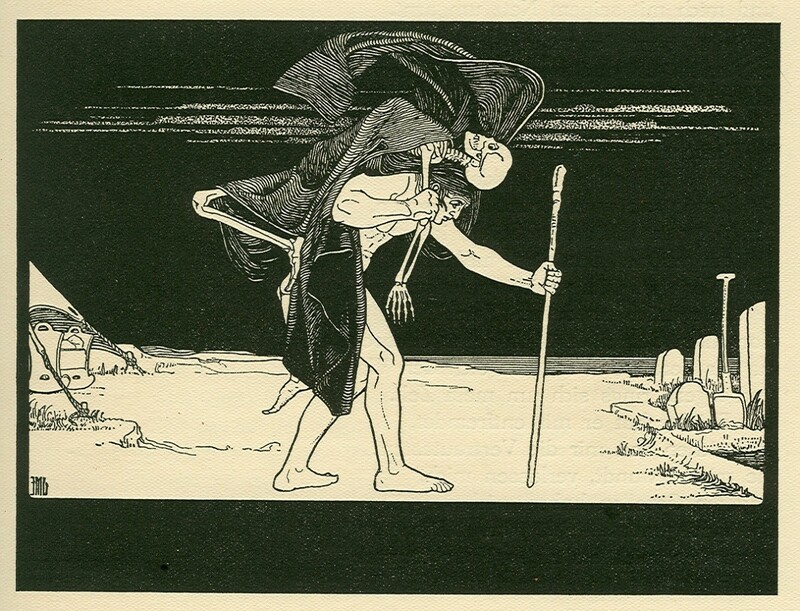 In Jewish mythology, a Dybbuk (or dibbuk) is a malicious spirit that is believed to be the lost soul of a dead person. Instead of going to heaven, the soul becomes trapped in an object, and it will remain there until someone helps release the spirit. 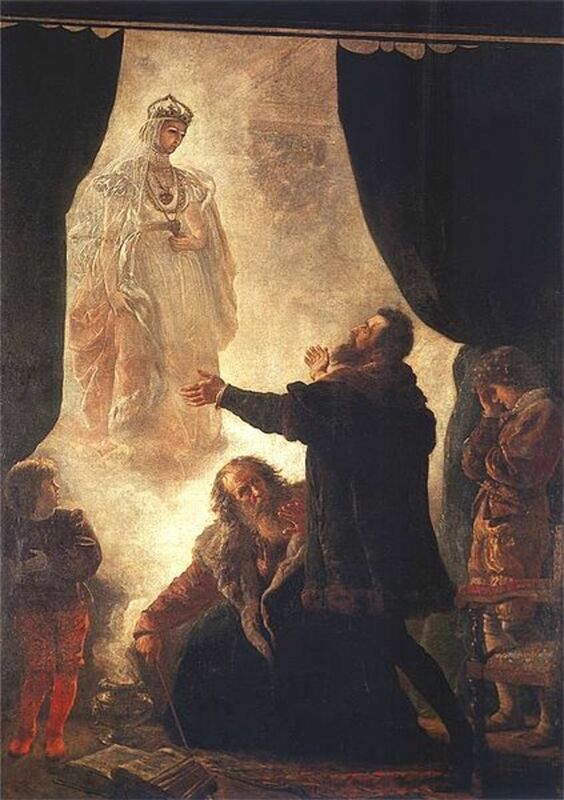 The word Dybbuk comes from an ancient Hebrew word meaning "to cling." What Happened to Kevin Mannis? Mannis bought the cabinet from an estate sale for a woman originally from Poland, who had died at the age of 103. The granddaughter of the deceased was insistent that Kevin take the item after he'd purchased it after he offered to give it back to her because he figured it had deep sentimental value. He was told by the granddaughter that the grandmother kept the box stashed away and would not let anyone open it. Kevin took the item to his furniture refinishing shop and put it in the basement. One day when he left the shop while he went on an errand, he soon got a call from his frantic salesperson that someone was in the shop swearing and smashing things. Mannis returned to the shop to find the lights in the basement broken and the room filled with the stench of cat urine. The employee left and never came back. 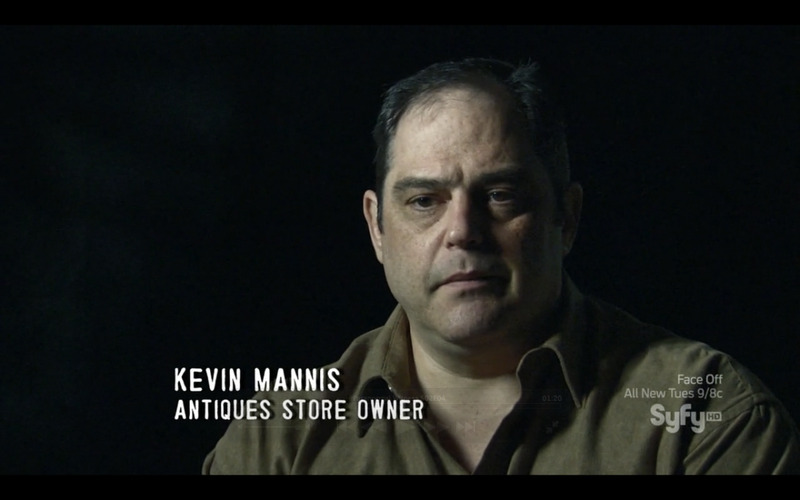 Kevin Mannis on Paranormal Witness on Syfy. When Kevin started working on the box, he decided not to refinish it and instead cleaned it. He was getting it ready to give to his mother as a birthday gift. His mother came to the shop so the two could go out for lunch, at which point he gave her the box; when Kevin left briefly to make a phone call, an employee came to him saying something was wrong with his mother. He returned to his mother and found her sitting in a chair, expressionless and crying and totally unresponsive. She was rushed to the hospital and it turned out she had had a stroke and lost her ability to speak for a time. During this time, she could only speak using a spell board on which she would point to letters to spell out words. When he asked her how she was doing she spelled out "No gift." When he said he'd given her a gift, she emphasized, "Hate gift." He then gave the box to his sister. She kept it for a week and gave it back. He gave it to his brother and his brother's wife, who kept it for three days and returned it. The brother said it smelled like jasmine flowers, and his wife said it smelled of cat urine. Kevin gave it to his girlfriend who soon asked him to sell it for her. He sold it to a middle-aged couple and three days later found the box sitting in front of his shop with a note saying, "This has a bad darkness." So, Kevin took it home. While he had the box at home, he began to have nightmares in which he was walking with a good friend, and when he looked into the friend's eyes he saw something evil looking back; the friend turned into a gruesome demonic hag that proceeded to beat him. He'd awake with bruises and marks on his body. When his sister, brother, and his brother's wife came to stay the night, all of them had the same dream. It turns out Kevin's girlfriend had the same dream when she had the box. Mannis also began seeing shadow creatures in the home, as did visitors. He put the box in a storage unit outside and was soon alerted by the smoke alarm in the unit. When he investigated there was no smoke but there was that smell of cat urine which at that point also permeated his house. He took it into the house and began searching the internet for information about the box. He fell asleep and had the nightmare and woke at 4:30AM to the feeling of someone breathing on his neck and to the smell of jasmine flowers. He again saw the shadow figure lurk down the hall. At this point, he put the item on eBay, hoping someone who knew more about the paranormal would take it off his hands and know what to do with it. Finally, in June 2003, he sold it to a University of Missouri student named Losif Nietzke. Nietzke put it back on sale on eBay 8 months later, after he and roommates suffered insomnia and illnesses in the presence of the dreaded item. Nietzke was able to sell it for $280 to Jason Haxton who had heard about it from a student who was also one of Nietzke's roommates. Jason Haxton with Dybbuk Box. Haxton claims to have experienced paranormal activity in the presence of the box, though he also states that it has had an anti-aging effect on him. He claims that he experienced welts and hives when he first had the box, and he even experienced coughing up blood and choking. He has said touching it almost puts it into a liquid state. He relates that while he's had the box, he's seen strange lights and shadows. Nevertheless, Haxton has taken a rather intelligent and academic approach to understanding the box. 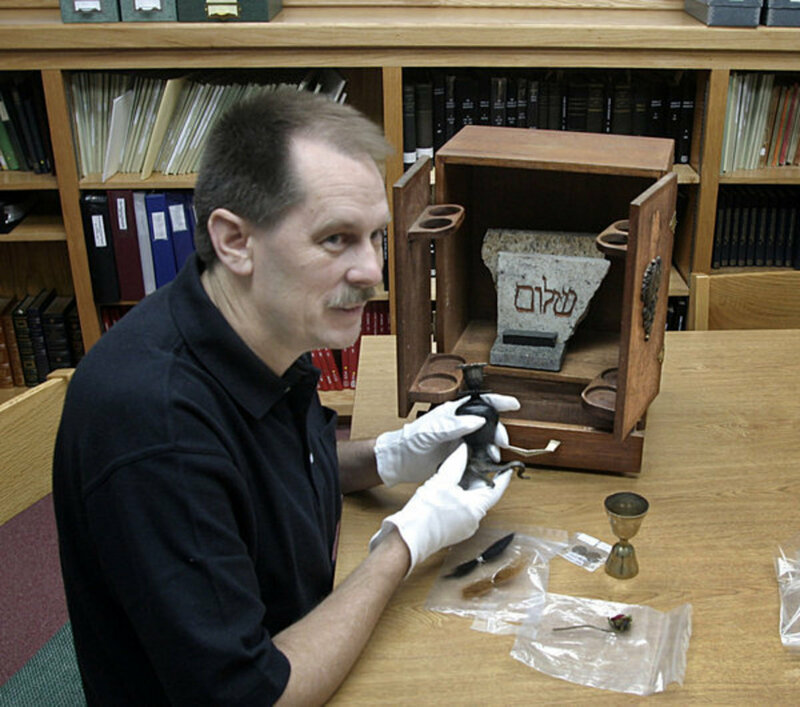 He has enlisted the help of scientists, paranormalists, kabbalists, and Wiccans to put the box into a more manageable state so he can keep it. He believes the force contained in the cabinet is neutral but plays off of who comes into contact with it. Its ultimate goal is to understand and reveal "truth" and that it was seeking the right owner to help it. For a time, Haxton kept the box secure in an acacia wood ark lined with 24-karat gold and stashed it in his den, to keep it subdued. 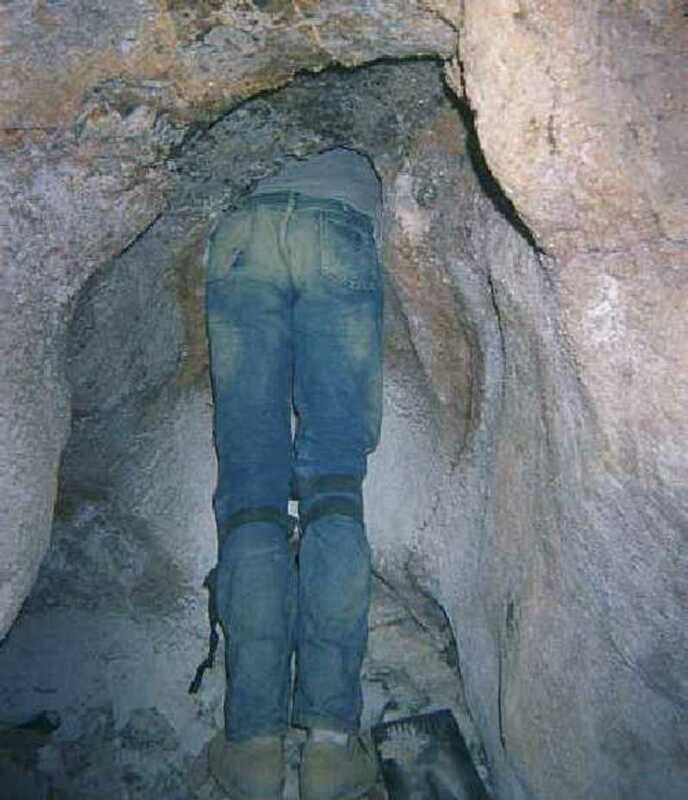 However, more recently he's admitted that he ended up putting it into a military-grade shock-proof container buried somewhere where it is well-hidden and won't be discovered. Zak Bagans, known for his work in the television show Ghost Adventures, ended up buying the Dybbuk Box from Jason Haxton. Bagans has the box as part of his collection of paranormal objects in his haunted museum in Las Vegas. Bagans will not let the public look at the box, however: in order to see it, you must sign a waiver that releases Bagans from liability if anything bad happens to you while viewing the box or immediately after. Is the Dybbuk Box Fake? Despite the strange occurrences that have happened to those who have come into contact with the box, there are many people who do not believe there is anything special about it. Many skeptics think that since the owners of the box believed it was cursed, they attributed their misfortunes to owning the box. While French does have a point, one cannot discount the strange events that have happened to every owner of the box since Kevin Mannis. Do you believe the stories about the Dybbuk Box are true? No, it's all made up. One thing: I am a person who holds many spirits near me many are evil and also not so I have to believe in the box. Possibly some said it was made during the holocoust which explained one David Star and pictures etc it may have been made to hold treasures of someone who passed away. As my spirits are earthbound they tend to “haunt” what is weak or has something of theirs or resembles something there is a variety of reasons for this. I do believe in it but it may not be all evil. One advise: DO NOT ABSOLUTELY DO NOT BURN THIS! It can release the forces of it back into the air and if it has evil everyone or thing is going to possibly be in trouble. I want to buy one also it is May be a weak or strong spirit. I wish to get a few of these and possibly talk to them and befriend them. @ Beth Benjamin who died and made you the spelling police? or grammar Constable? If you haven't got any input, into the topic in question they say nothing and move on to something you believe in. No need to be nasty. If you haven't got anything nice to say then say nothing! look what happened in Jamanji?! Then think about Pandoras Box......think i will give looking at the box touching the box and keeping well away from wherever the box is. Absolutely I believe in it. Why not. It does me no harm to believe in something. I have seen the movie,and although they did some of the stuff differently to move the story along, I found it rather well told and scary tale. It's my belief that the box is real. If you believe in God and the Devil then you have to believe in angel's and demon's you can't have one without the other. I've followed the story of the box ever since it became public the occult is kind of a hobby of mine. The spirit that posseses this box is that of a 60 to 67 year old women, stringy white and black hair, passed the shoulders, she wears a white and purple long dress, black leather boots, i see the names Hilda or Agnes shes only upset at the fact that no one seems to understand her, she wants to go home, shes tired, she had been abused as a young girl by her fathers brother her uncle sam, or samuel. First off, this is my opinion and my personal opinion and none more. The Dybbuk box is very much a real possesed item, a very old wine box from italy obtained by a female holocaust survivor. A Dybbuk is a demon/spirit that attatches itself to a person or item in this case the box. I believe it is a very ancient spirits and when it comes to spirits in general they arent something to be messed with in any shape or form, this being ancient it is most DEFINITELY not a force to be tested. Now as for what happens to people who own or stay within vicinity of the box I can not confirm nor am I 100% sure that ALL of those things can/have happened. I do know and have seen and experienced being scratched, bit, bruised, things like that can happen to a person by spirits but some cases recorded by the people who had this box are hard for me to believe but I am not denying that its possible. All in all... The box does harbor a demon/spirit and it is more of a reality than most would like to believe. How do ya get a ghost into a box? This is so silly. I can clearit if you want. Everything can be cleared! assume they are stupid. Some may feel you less than intelligent for making insulting remarks without having the necessary information to back your statements up. Asfor my comment, I have experienced paranormal activity first-hand, so I do believe the box may be haunted. Great, so Zac will open it and pretend to be possessed or something. Just read that the current owner offered it to Zac and he is going to open it live in Oct. 31. 2018 on his show starting at 8pm on the travel channel. Is there any verifiable proof as to what these folks claimed to have experienced? I'm not a skeptic by most means, I believe in the spiritual, but this seems a bit too out there that it needs more proof than just stories. Interesting that every post by believers contain basic spelling and grammar errors. Most entertaining is the person who wants to "tutch it." Also none of the believers have even the most rudimentary grasp of punctuation. Easy to see why they believe in fantasy. I would like to know if I can see the box and tutch it? Until you actually have a true paranormal experience you will never truly believe. 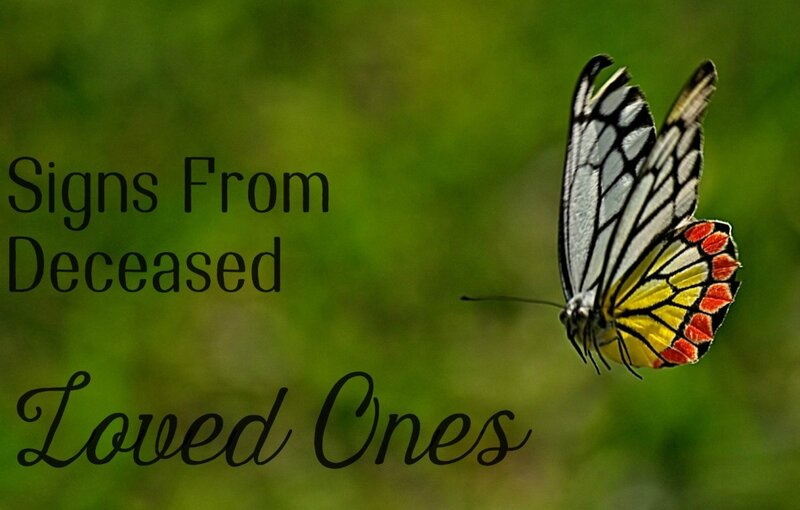 I have seen the dead and have had multiple experiences of many types. I still find this subject very interesting but do not search it out. I have been asked many times to do reaserch n this subject but if I did those around me would see what I already know is there.There is Good and Evil and I tell everyone becareful what you wish for because you just might find it and it might not want to leave you. I have a very hard time believing in any of this.. I am convinced that ghosts/apparitions, curses and the Dybbuk Box are absolute nonsense! It's all just a simple case of people spooking one another, if this were 1910, these people would be diagnosed as Hysterical. I have watched the show and it is really haunted I was so scared. That same Dibbuk box is now currently owned by Zak Bagans and is opened to see it publicly at your own risk with its box doors closed sealed in The Haunted Museum in Las Vegas, Nevada. I personally went to go see it for myself. I wonder how much money I can earn if I were to get my old lunch box and say its Possessed? Television, Radio, Internet, Book deals, etc. What you put into anything is what you will get out of it. Fear, anger, and 'attributing all your daily wrongs' to a box results in just what you contemplate and expect. Carry a Rabbits foot and watch your luck change! Here's my take on it, use it for what it was meant to be used for...cigars, wine, portable toilet, etc. He'll right now I'm going to look up on Ebay and see if I can find a new and improved 'Dibbuk Box', so in about 3 years you can buy my book!!! Oh, of coarse I would be doing everything for historical and paranormal research!! lol lol Go in peace brothers and sisters....BOO! hehhehe. The REAL MYSTICAL POWER's lay within YOU!! - remember that. The whole episode is a hoax... I can't believe in such crap. We just saw it on facebook live tonight, Christian had it in the radio Studio! they opened it!! Anyone else realize that Kevin spends a lot of his time pawning his stuff off on other people? The current owner is Christian Robert Page who bought the box from haxon in auction earlier this year.